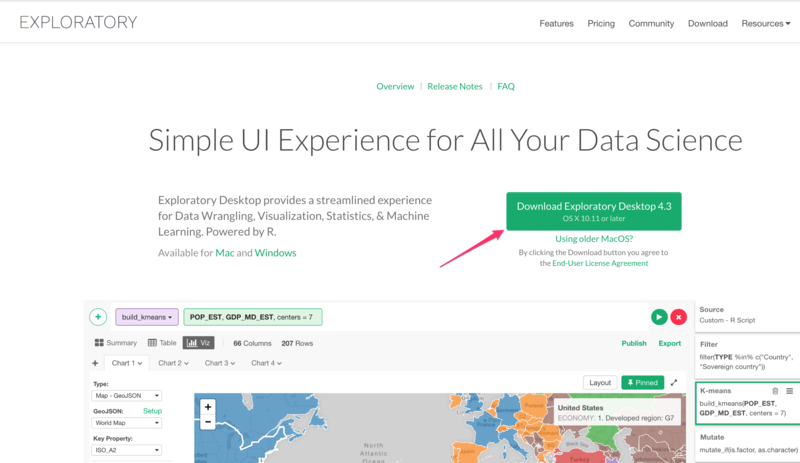 First, please go to Download page, and click green Download Button. At this point, the latest version is 4.3. 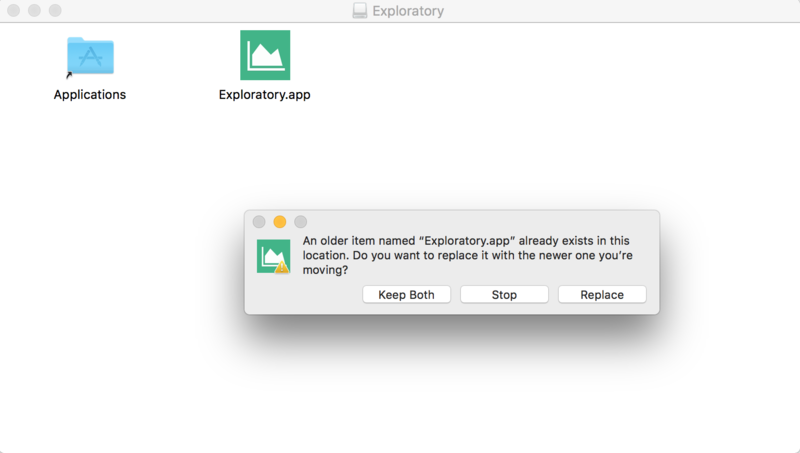 Upgrading Exploratory Desktop is basically you override the existing Exploratory Desktop app with the newly downloaded one. But this doesn’t mean that you are overriding the existing projects you have created before. 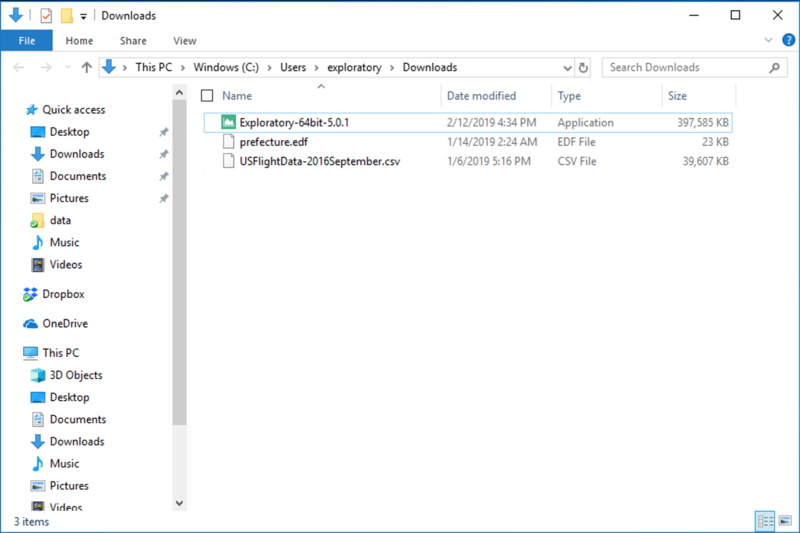 All the projects you have created so far are saved inside Exploratory’s repository (.exploratory) that is located under your home directory, and this is outside of the app. For Mac, just double click the downloaded file, and you will see a small window like below. 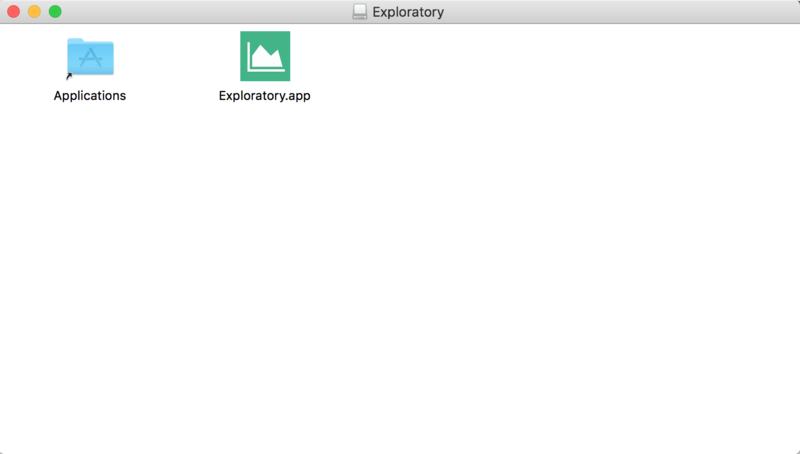 All you have to do is drag and drop the Exploratory.app Icon to Applications folder. You will get a dialog like below. Click ‘Replace’ to override the older version. As mentioned above, all the projects you have created before are saved outside of the application. Overriding the app or removing the app won’t delete your projects. 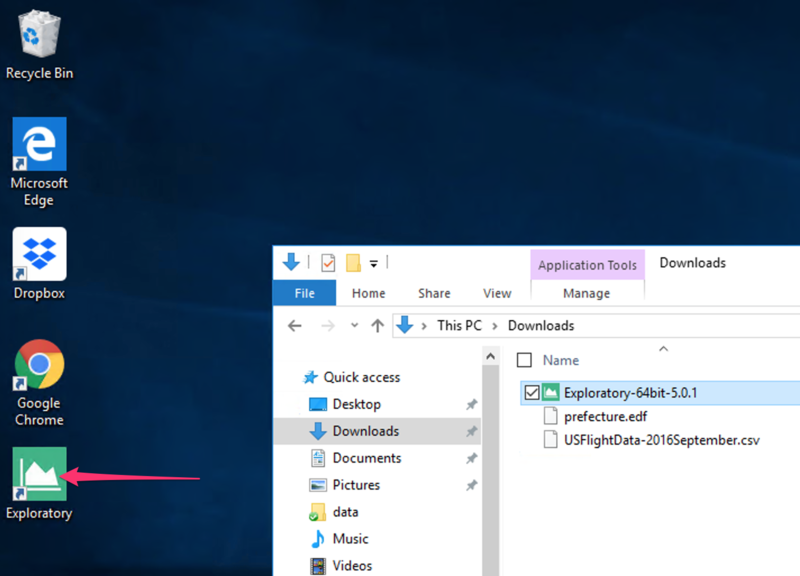 How you download the file, select the file and click extract all button. 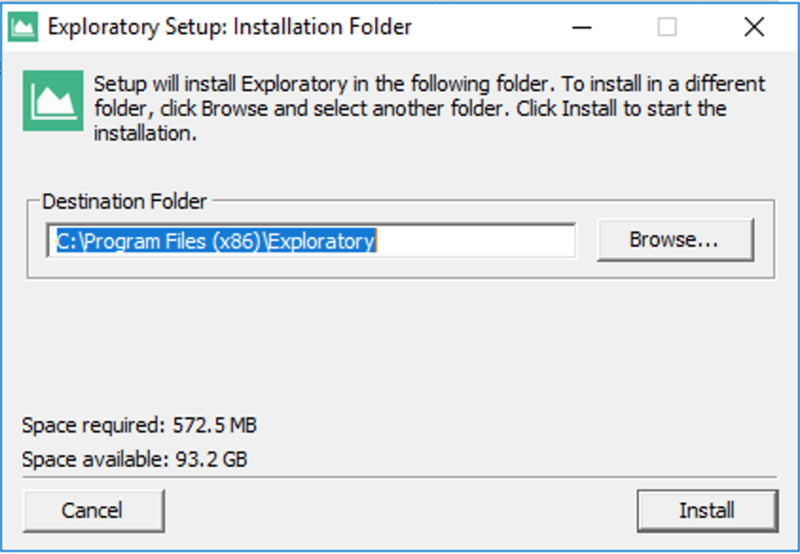 Select the folder you have installed the existing version of Exploratory Desktop before. 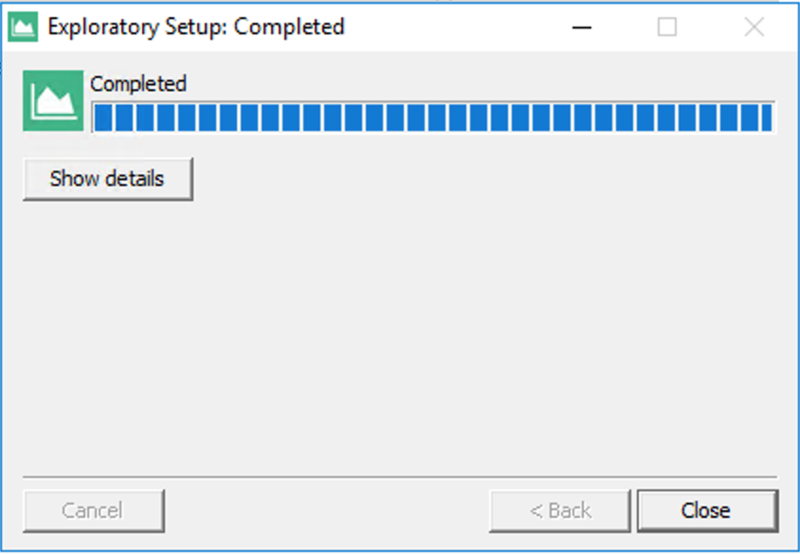 Select ‘Replace the files in the destination’ to override the older version. As mentioned above, all the projects you have created before are saved outside of the application. Overriding the app or removing the app won’t delete your projects. That's it. 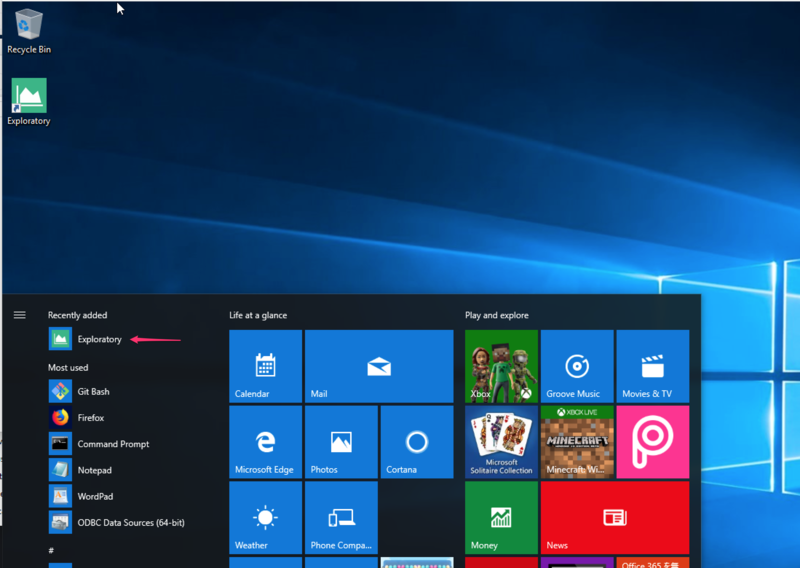 Once finished, just double click the Exploratory.exe to launch the new Exploratory Desktop. Once the app launch, you might be asked to upgrade R and/or R packages inside the app. If that’s the case, you can click “Start Setup” button to upgrade them automatically.